May 15 End of week update. EURUSD blasted through resistance again. No matter how much EU bashing there is in the U.S., they continue to grow. The rally in the EUR is more likely a correlation to the rally in crude oil, and not very indicative of other factors. If this is the case then it will be interesting to see if momentum stalls. Crude Oil has upside pressure from the news, but the Bulls seem to be ready for a break. And a Break is exactly what is on the menu. A short term ease in Crude will be a nice relief at the pumps as summer begins, and this would put the stop on the EURUSD rally as well. Now this may not be a turn in the EUR, but it would be a great time to set a range trade as the summer time trade settles in. After all, the whole world is at war today. What conflict would rock the EUR??? Only a major flight to quality in the USD could trigger that. This is very unlikely in the short term. Something to think about over the weekend as you prepare for next week’s trade. Good news… We’re going to make up for any misunderstanding right now. Yesterday an option trading friend called to say he didn’t watch the Pivotal Cash Bonanza training series because he didn’t realize from our emails that it was an option-trading program. So now, we’re making an exception for everyone! After all, who knows how many other people may have missed out because they didn’t realize Cash Bonanza is an advisory service for option traders? Did you know? Because the portal will only be open until Sunday… Then it’ll be closed for good. PS Pivotal Cash Bonanza is backed by a 100% money-back guarantee of your purchase price. So, it sounds to me like your greatest risk is the risk of missing out. Click here to watch video now. 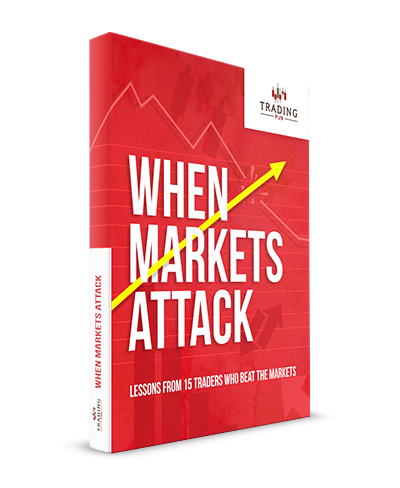 The book gives you the favorite strategies for beating the market from 15 top traders (Including one of our own top strategies). You're getting 15 different and PROVEN ways to trade the market. There's no cost. No obligation. It's a giveaway but won't be available for long. So click here to grab your copy now. Disclaimer: Trading is risky. Past performance is not indicative of future results.